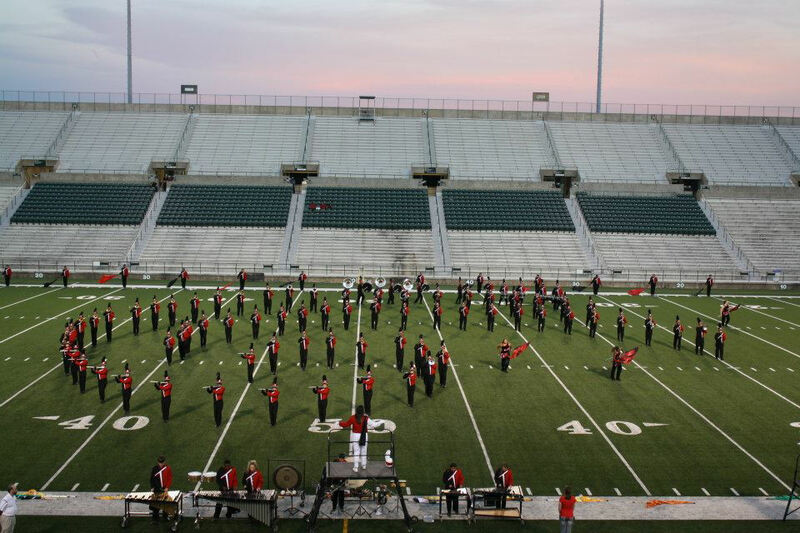 Last night the Terrell Tiger marching band took part in the UIL Marching contest in Mesquite. The Tigers performing songs from West Site Story earned the highest rating a 1. The marching band walked through the Tiger head and received encouragement from the football players and cheerleaders prior to boarding the buses to Mesquite. 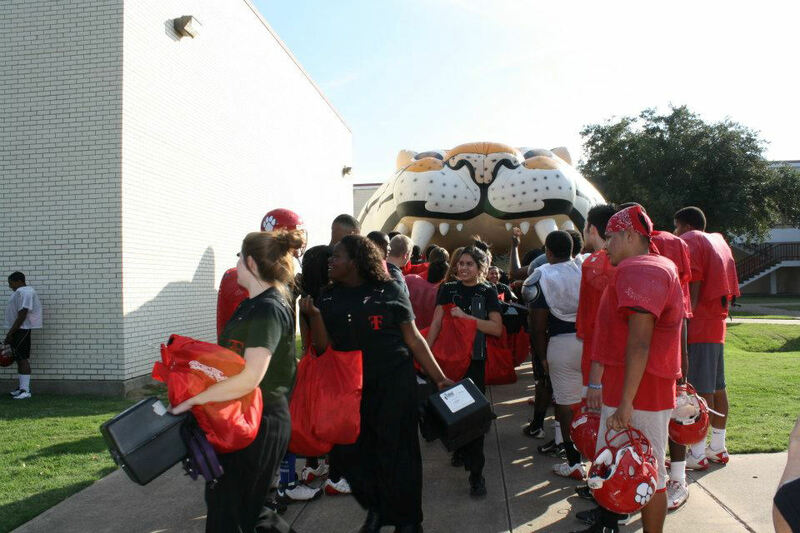 The photos are courtesy Julie Kuhn.